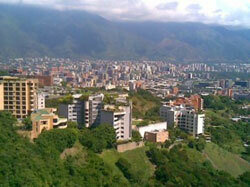 Caracas sits in a long valley at the foot of the Ávila range and is separated by steep slopes from the Caribbean Sea. It is Venezuela’s capital city and its centre of politics and economy. The metropolitan city gleams with modern skyscrapers. Not many colonial-era buildings have survived due to damages from wars and earthquakes, and the Caraqueños’ general lack of sentimentality about the city’s almost 440-year-old history. They are more eager to embrace rapid, modern developments and move away from the capital’s turbulent past. Despite the city’s oil-fuelled wealth, one cannot miss Caracas’ urban problems—shady politics, violent crimes, illegal street activities, and the poverty in the numerous barrios or shantytowns that hike up the surrounding hillsides. These give Caracas its reputation as a dangerous city bordering on anarchy. It is also all these, and more, that pull many outsiders to dig deeper until they eventually feel for, if not completely understand, this glass-and-concrete cosmopolitan capital. Caracas is Venezuela’s cultural heart. 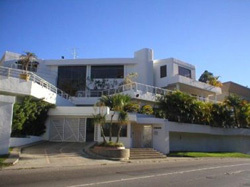 Parque Central is considered its art district. The highly acclaimed Museum of Contemporary Art carries a great collection of works by Venezuelan and international artists. Famous as well is the Teresa Carreño Cultural Complex where world-class drama, dance and music performances are held. The Caracas Athenaeum is another important cultural institution. It houses a concert hall, library, art gallery, cinema, and two theatre auditoriums. Two significant churches in the city are the Caracas Cathedral and the Iglesia de San Francisco. The 16th century Romanesque cathedral has beautifully hand-carved altars and notable works of art such as Arturo Michelena’s unfinished Last Supper. The Baroque Iglesia has an impressive interior of heavily gilded altar pieces and oil paintings, sculptures and carvings from the 17th century. It was here that the people of Caracas proclaimed Venezuelan national hero Simón Bolívar as El Libertador. Other famous landmarks are the Caracas East Park, the Federal Capitol and Plaza Bolívar. The park is a green area with a small zoo built in the middle of the city. Occupying a whole city block, the Federal Capitol looks larger than life with its neoclassical embellishments and golden domes. Plaza Bolívar, now surrounded by giant high-rise buildings, was once the heart of the old town with the monument to El Libertador at its centre. Caracas has an intense food culture due to the influx of immigrants over the years. It is considered Latin America’s gastronomic capital. Locals embrace Mexican, Spanish, French, Italian, Indian, Japanese and Chinese cuisines as much as their own. However, local dishes like pabellon (shredded and stewed meat eaten with banana, black beans and rice), cachapa (pancake made of sweet corn and served with cheese) and arepas (round biscuits made of cornmeal) are still great favourites. Caraqueños take great pleasure in shopping as well. The streets of La Candelaria, Sabana Grande, and Chacao and the historic centre are all tightly packed with stores and malls. Shopping malls have become an alternate reality to the often harsh landscape of Caracas’ streets. Aside from the malls, there a number of bustling markets. In recent years, there has been an explosion of illicit outdoor street trading: pirated CDs and DVDs, clothing and everyday products, but such activities are strictly prohibited in the Chacao municipality. Caracas’ stylish nightlife displays the inexhaustible energy and hedonistic ideals of Caraqueños. On weekends the young and beautiful clad in designer labels swarm to Las Mercedes, Altamira, and La Castellana and hit the bars and dance clubs pulsing with salsa, rumba and meringue rhythms till daybreak. Caracas is also notorious for its horrendous traffic jams, as residents find no reason not to drive since gas is cheap. Caracas is a very expensive place to live in, and even unremarkable apartments have high rents. The city though has few available residential properties due to strict rent-control laws. Construction of new ones is scarce as developers fear that they’ll only be seized by the government.